MAJOR TAKEAWAY: Career Change: I was made to do this! 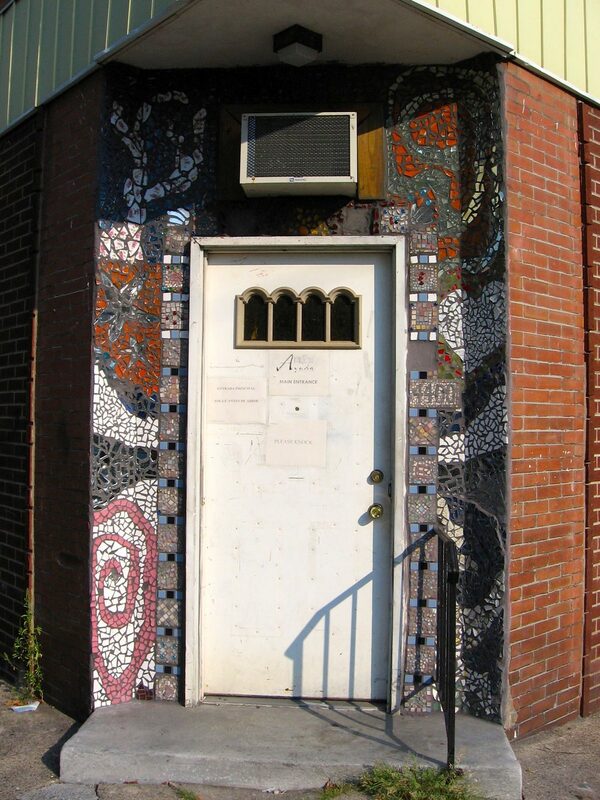 The Ayuda Community Center Threshold Mosaic was the first art project that I did with a community of people. However I did not begin the project with that intention. 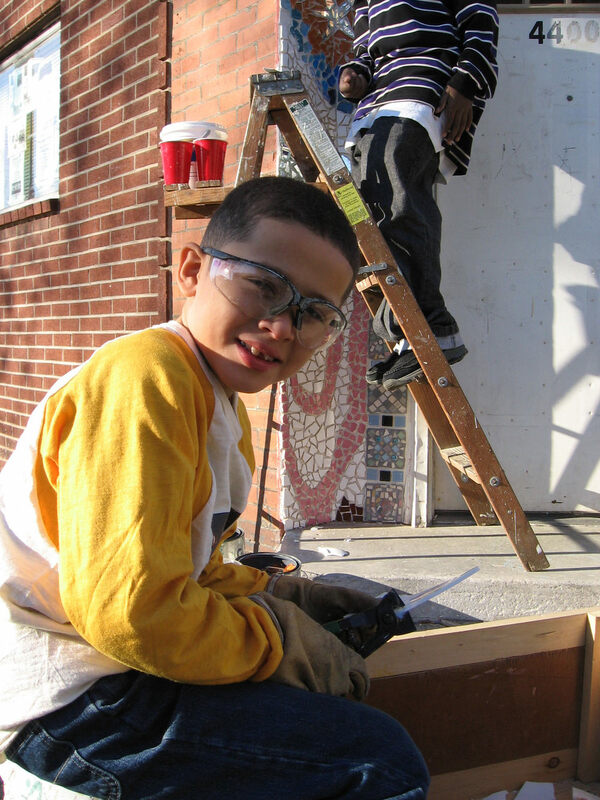 I was hired as an artist to teach a mosaic class for Ayuda’s summer camp and to follow up with a beautification project for the entrance to the Center. 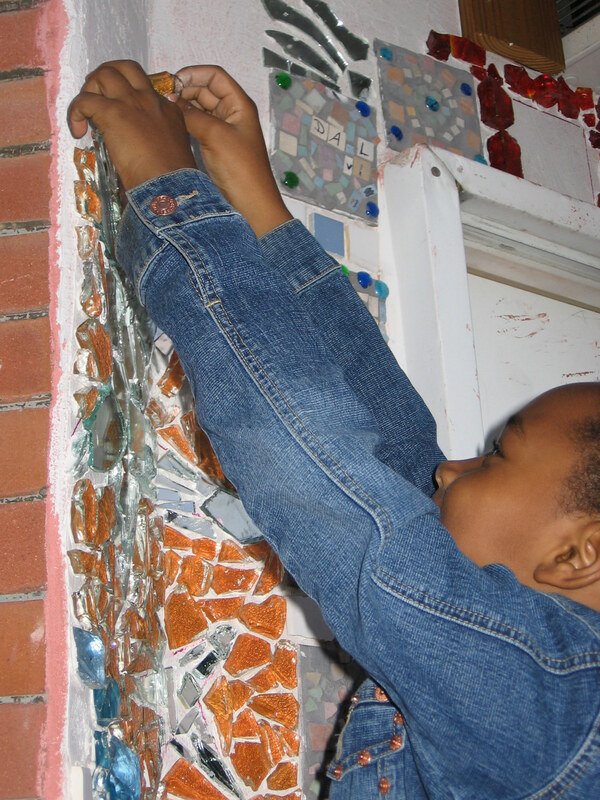 I decided to have the youth create pieces that would be used in a mosaic around the door. At this point, I had only done one mosaic in my life (a small picture frame) but had fallen in love with the medium. 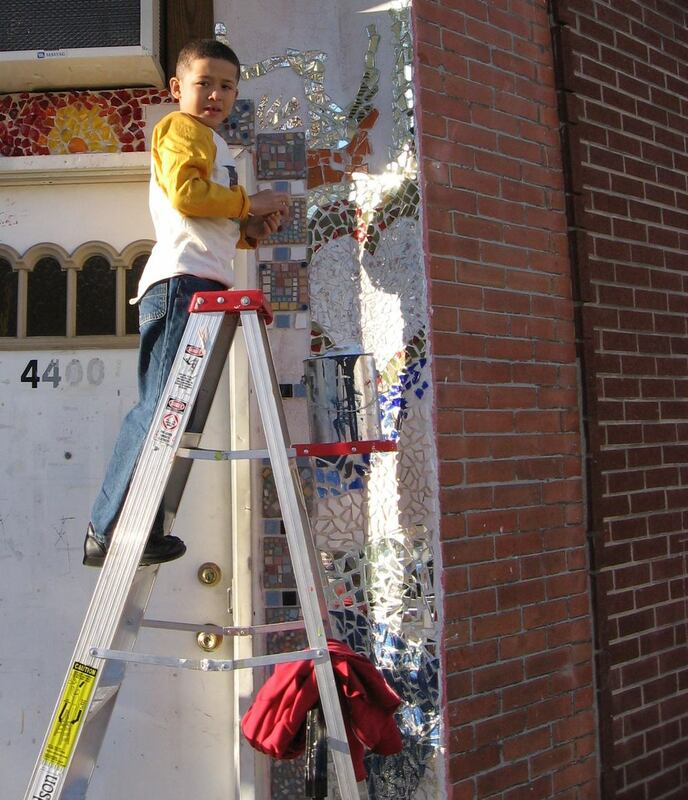 I didn’t have a design for the mosaic prepared; I had just collected many beautiful pieces of tile and glass and figured I would design on the fly. I showed up on my first Saturday to work on the wall. I began by placing the campers’ pieces around the door. It wasn’t long before I began to draw the attention of the kids who live near there. They all wanted to know what I was doing and the ALL wanted to help. I began to teach them to tile the wall. Because there was not predetermined design, I asked the kids to draw designs on the wall and choose the colors and patterns that would fill those spaces. As more and more kids came, I began to give some the job of breaking up the tiles, sorting colors, and holding the ladder for the other kids. We were working on a very small space but the excitement was building. I would return each Saturday for a month, unload all of my materials and the kids would come running. I fell in love with this type of communal art making. I began to think about how I could quit my job to free me up to do more work like this. This project solidified two guiding principles of the type of creative work that I wanted to seek out: 1) Members of the community have opportunity to be involved in the design and creation of the art. 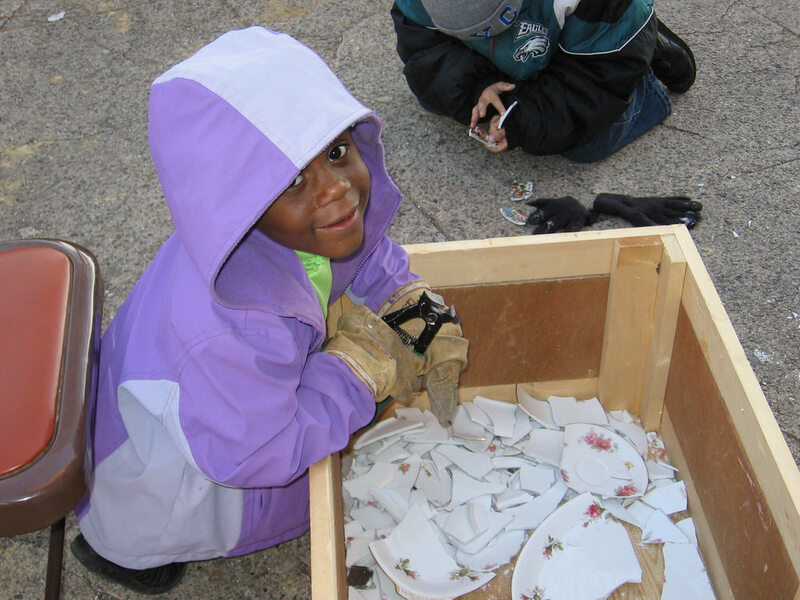 2) All within the community and beyond will be able to enjoy the art. One year later, I quit my job to join Ayuda Community Center as a Community Arts Director, a newly formed staff position, and began to develop what would become Orange Korner Arts.